Every three-legged rescue love story gets us so excited! 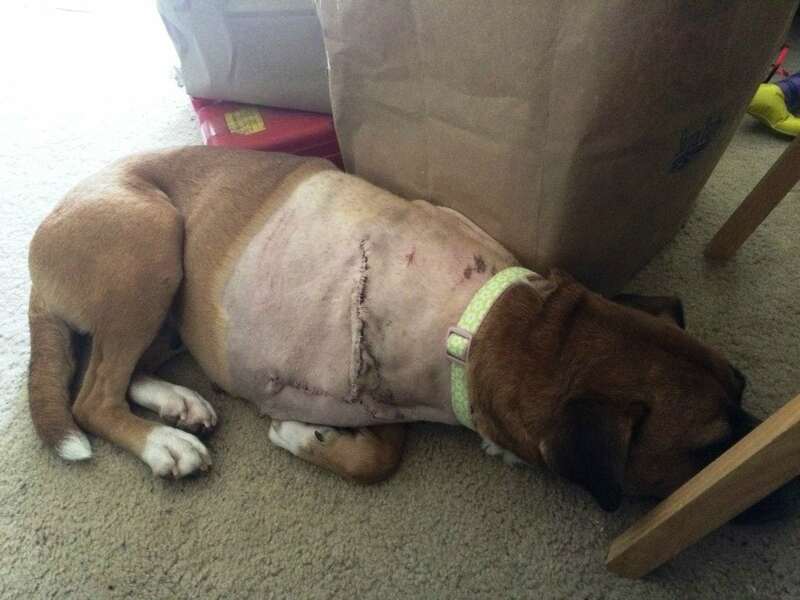 Today we are happy to share the good news that another Tripawd has found a forever home. Join us in a three-paw salute to Gabrielle New and her pack, for bringing Freya into their life. 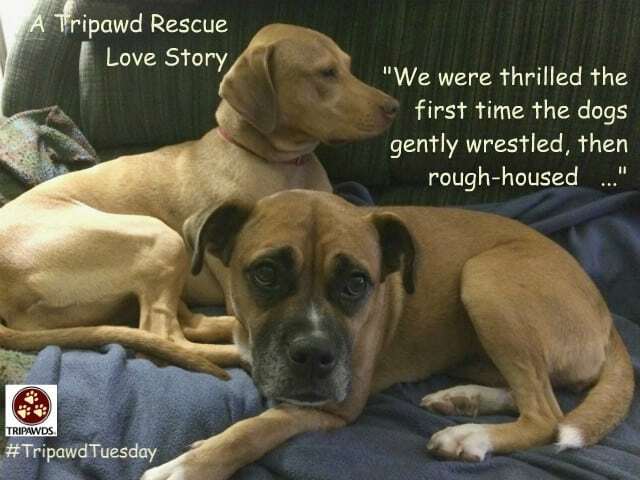 Here’s this beautiful girl’s story for today’s Tripawd Tuesday celebration! We adopted “Freya the Treya” in late January 2015, right after she had a necrotic leg removed through the shoulder blade. We don’t know anything about her past, only that they guessed she was about 5 years old and had been unable to use the leg for a while. But my husband saw her photo online and knew we had to adopt her. The behavioral specialist at the Humane Society helped us determine the timid and overwhelmed surgery patient would be okay with our 4-pawd, Bryce. I don’t remember what Freya was called at the shelter, but we decided pretty quickly to name her after something powerful. We chose the Norse goddess, Freyja, symbol of love, war, and beauty, because Freya was our beautiful warrior. I happily emailed family and friends that we now had “seven feet of dog”. Her first weeks, she was quiet and scared, hiding in her crate cave. My daughter read to her, we gave her space to find her comfort zone, and she slowly allowed a patient Bryce to make friends. We were very grateful to have Bryce to show Freya “how to dog”, as Freya seemed oblivious to toys or games. She had clearly been someone’s pet, since she knew about leashes, some basic commands, and dog doors, but seemed to be missing the fun aspects of being a pupper. Bryce and Freya become friends, finally. We were thrilled the first time the dogs gently wrestled, then rough-housed across the family room; the first time Freya chewed on a toy; the first time she willingly laid her head on my lap. 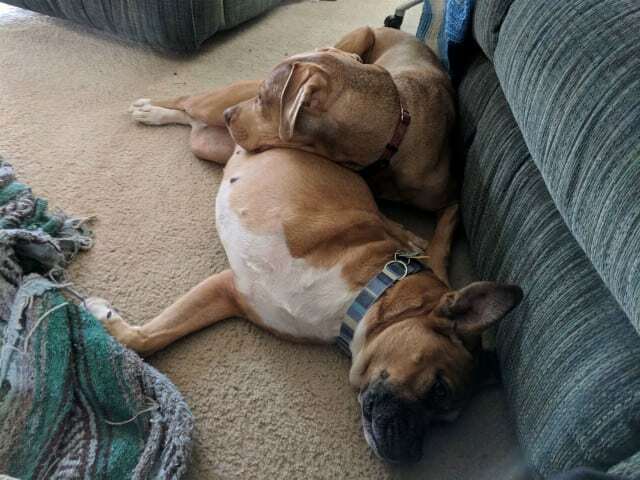 Our dogs frequently lay on top of each other on the couch, like loving sisters. Freya is not the all-over-your-lap cuddler that Bryce is, but she has her special spot next to me on the couch, with the flat of her head pressed against my thigh. 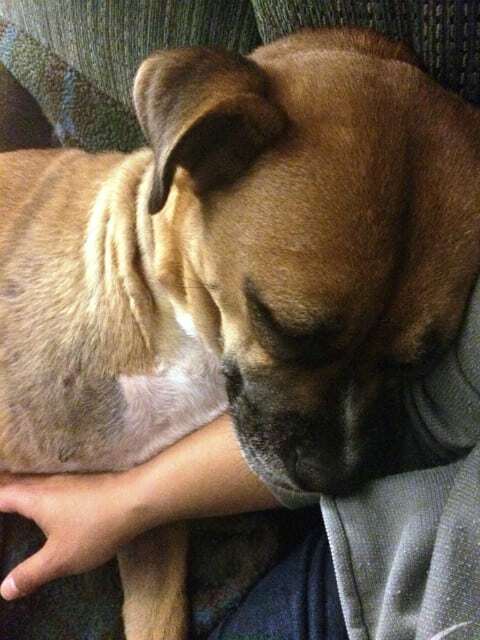 Sometimes, she’ll lay her head along my arm and fall asleep with such complete trust it’s almost heart-breaking. Today, Freya, my nudge, my shadow, is a happy, bouncing, playful dog. We are so glad she’s part of our family. I know many people here are on this website or page because they are facing the removal of part of their beloved pet’s body. It’s scary and sad and intimidating. We are dealing with a very different tripod situation, but we have never regretted having a three-legged dog. 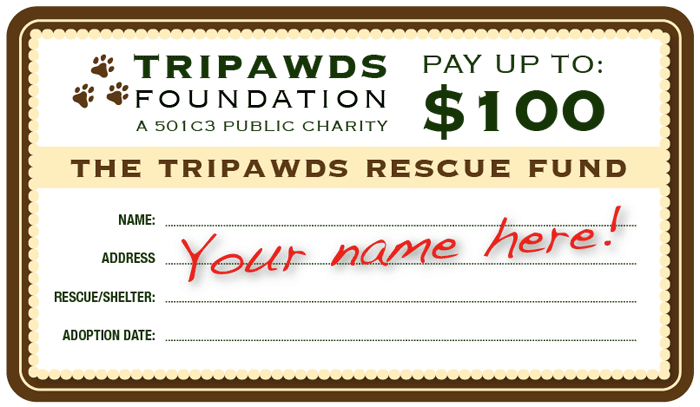 Ready to adopt a Tripawd?